A frequent guest soloist with leading orchestras throughout the United States and abroad, Mr. Underwood has performed with the Boston Pops Orchestra, the National Symphony Orchestra, Australian Wind Orchestra, and the National Conservatory Orchestra in Sao Paolo, Brazil, among others. In 1993, Mr. Underwood made his Carnegie Hall debut in a program featuring Claude T. Smith's Fantasy and A Gershwin Fantasy, both written especially for Mr. Underwood. In addition to being a sought after soloist, Mr. Underwood is also a noted recording artist. He has amassed a prolific discography of classical and contemporary works by leading composers Paul Creston, Jay Chattaway, Robert Muczynski, and Maurice Whitney. His vast repertoire includes all of the standard saxophone concerti, as well as over thirty original works written for him by noted American composers such as Walter Hartley, Clare Grundman, Jay Chattaway, Alan Vizzutti, and Ralph Martino. A frequent clinician at universities, conservatories, and music festivals in the United States and Europe, Mr. Underwood is a highly respected instructor of the saxophone. He is currently saxophone professor at the Frost School of Music, University of Miami. Born in Cortland, NY, Mr. Underwood began his saxophone studies at the age of nine. He received his early music education at Ithaca College in New York and further pursued studies at Texas Tech University. 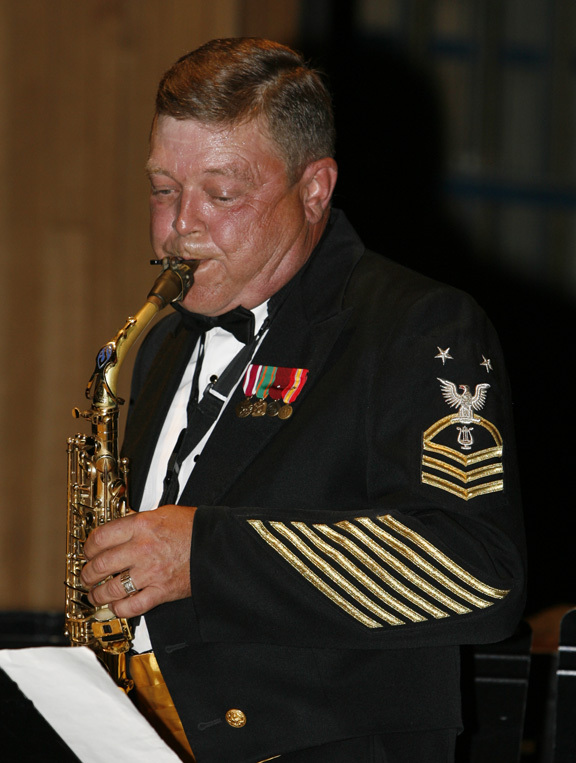 In 1967, Mr. Underwood enlisted and was appointed saxophone soloist with the premier band of the United States Navy, a position he held for 29 years until his 30-year service retirement in 1997. During his years as soloist for the US Navy Band in Washington, DC, Mr. Underwood gained the distinction of performing for every president from Lyndon B. Johnson until William J. Clinton. As the preeminent saxophone soloist of all musical ensembles of the US Armed Forces, Mr. Underwood was presented the Meritorious Service Medal by the President of the United States in 1997. The citation reads in part: "An extraordinary saxophonist ...Underwood distinguished himself as a soloist on the National Concert Tours and in many prestigious venues, including Carnegie Hall, the Kennedy Center, and Meyerhoff Symphony Hall. His exciting performances repeatedly drew standing ovations."